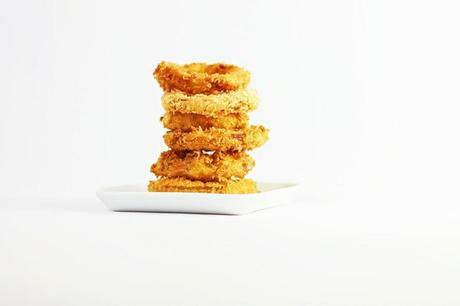 Onion rings is quite easy to make and even if you might not get them perfect the first time they will still beat the local burger place, so get going. For this batch I first tossed the rings in flour and then coated them in a mixture of eggs, flour, beer and a bit of baking soda and before deep frying I dipped in Asian bread crumbs, also known as Panko. You can find it in all Asian stores and usually in bigger supermarkets. 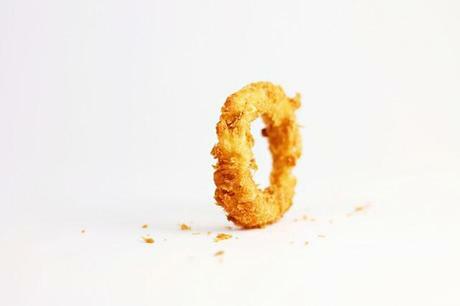 Don´t forget to add a bit of salt and pepper into the flour to give the rings a better flavor. You will salt them after frying but a lot of that salt tend to fall off. 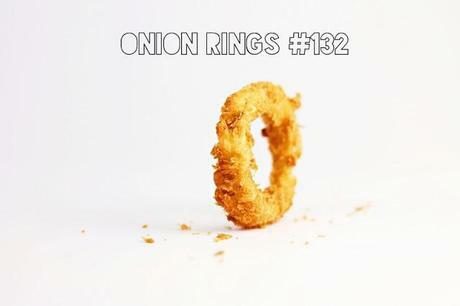 I usually serve a dipping sauce for deep fried food but onion rings a more moist than french fries so I don´t think it´s necessary but I you prefer a dip then go ahead. Peel and slice the onion and separate the rings. 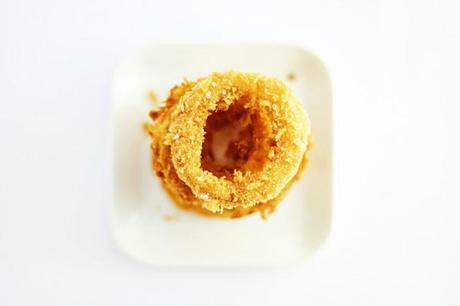 Put them in a zip lock bag and add some flour and shake the bag to cover all the rings. Combine eggs, flour, beer, baking soda, salt and pepper. I used about half a cup of beer, half a cup of flour, one teaspoon and one egg for my batch. The thickness should be about the same as for pancakes.